Posted on: July 21, 2017 By: Christopher Brown, Esq. Whistleblowing is the disclosure of any type of information or activity deemed unethical, illegal or as wrongdoing within a private or public organization. In the United States, there are laws in place that protect whistleblowers from being mistreated or fired from reporting misconduct. However, some workers may still fear retaliation from employers or coworkers. Many violations of the law go unreported due to the possible consequences of reporting the truth. Fortunately, protection laws encourage employees to come forward to create a safer, healthier workplace. Know and understand the common misconceptions about whistleblowers within organizations. It’s a common misconception that most whistleblowers are motivated by revenge. The reality is that most are professional, hard-working individuals. One survey found that nearly 100 percent of whistleblowers reported illegal activity in their workplace because they felt it was the right thing to do. Most whistleblowers are not disgruntled employers but rather ordinary men and women who want to stop corruption in the workplace. For their efforts, many of these individuals are attacked and may suffer financially, emotionally, and sometimes even physically. The stress of being a whistleblower can cause serious health issues and relationship difficulties. Many employees are afraid to go forward about the truth because they lack the evidence they need to effectively make their case. However, it’s important to realize that you don’t need physical proof to tell the appropriate parties what you know, even if it’s just a suspicion. To reduce the likelihood of reprisal, most agencies will keep a whistleblower’s identity hidden from the organization. Many whistleblowers will also choose to work with an attorney who will help to keep their identity protected. Many people believe that whistleblowers are greedy or motivated by money. As the downfalls usually far outweigh the rewards, this is typically not the case. Most whistleblowers choose to take action within their organization, which means no reward. Many whistleblowers do not take their report outside of their workplace unless their organization does nothing to remedy the problem. In short, whistleblowers usually have honest intentions when blowing the whistle. Whistleblower laws can vary considerably from state to state. Laws can also differ depending on who you work for. Whistleblowers who work as government employees are protected by the Whistleblower Protection Act, or WPA. The WPA protects federal employees from retaliatory action after an employee voluntarily discloses information about illegal or dishonest activities with a government organization. Corporate whistleblowers are protected by the Corporate and Criminal Fraud Accountability Act. Like the WPA, this act shields employees in corporations or other private businesses that disclose fraud or violations in the workplace. There are both state and federal laws that protect whistleblowers from retaliation, including the Sarbanes-Oxley Act of 2002. If an employer or organization in retaliates against an employee who reports illegal activities, fraud, or other wrongful acts in the workplace, the employer risks a lawsuit. The employer could also face criminal prosecution depending on the circumstances of the retaliation. Employees cannot be fired and cannot be subjected to other forms of retaliation due to complaints made inside or outside of the organization. Many employers have a complaint policy in place to help avoid employee whistleblowing activities. While whistleblowers are protected to some degree, some activities may not fall under employee protection. Some laws state that only a complaint to a specific agency is protected. Other laws follow a “play fair” provision which requires an employee to first tell their employer about the wrongdoing. The employer then has the opportunity to remedy the problem before it leaves the workplace. 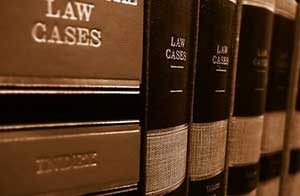 Protection laws also depend on the unique circumstances surrounding a case. Under many laws an employee must have an objectively reasonable basis to believe that fraud or another type of violation of law has occurred. When in court, a judge will decide if there if it was reasonable to believe that an organization is guilty of a violation or wrongdoing. Most people are unfamiliar with the statutes of limitation laws surrounding whistleblowing cases. Each state has its own statute of limitations that range in length. One of the biggest weaknesses surrounding statutory whistleblower protection laws is the brief statute of limitations for whistleblowing cases. Many organizations use this short statute of limitations as a defense in court. As a general rule of thumb, a statute begins at the time an employee believes he or she is being retaliated against. It does not begin on the last day of employment. There are also federal statutes in place for whistleblowers with limitations as short as 30 days. You may believe that you have no rights as a whistleblower against a rogue employer. Due to your actions, your employer may decide to take unfavorable action against you. These actions may involve demoting, blacklisting, disciplining, denying promotion or overtime, denying benefits, firing, laying off, failure or hire or rehire, making threats, intimidation, reducing hours or pay, reassignment to a less desirable position, or suspension. If you’ve been retaliated against due to your legal rights as an employee, you can file a complaint with the Occupational Safety and Health Administration (OSHA) within the statute of limitations. “Blowing the whistle” at work is a serious decision that can have unfavorable consequences, even from a mostly well-intentioned employer. Whilst most whistleblowing activities relate to the conduct of staff or employers, it can sometimes relate to the activities of a third party, such as a service provider, supplier, or customer. It’s important to know that as a whistleblower, employees are offered protection against retaliatory action. To learn more about your rights as an employee and how you can stay protected against retaliation in the workplace, contact an attorney who has experience in employment law.